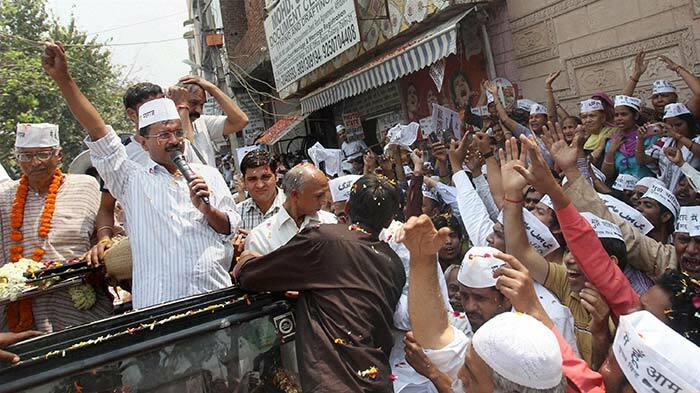 In these elections, Arvind Kejriwal has been seen as something of an unknown quantity after his party made a stunning and unexpected political debut in the assembly elections last December. He has since cast himself in the role of giant-killer, standing for election from Varanasi opposite BJP's top man Narendra Modi. 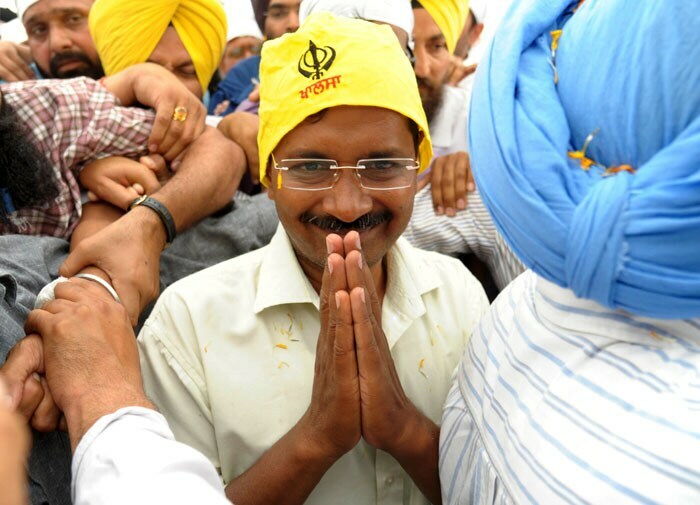 In these elections, Arvind Kejriwal has been seen as something of an unknown quantity after his party made a stunning and unexpected political debut in the assembly elections last December. He has since cast himself in the role of giant-killer, standing for election from Varanasi opposite BJP's top man Narendra Modi – a fight he has since lost. Arvind Kejriwal was born on August 16, 1968 in Haryana's Bhiwani district, the eldest of three children. His electrical engineer father's job moved the family around small town North India. He went to school in Hisar and Sonipat and then studied mechanical engineering in IIT Kharagpur. As a young engineer, Arvind Kejriwal joined Tata Steel for some four years before quitting to take the Civil Service examination. 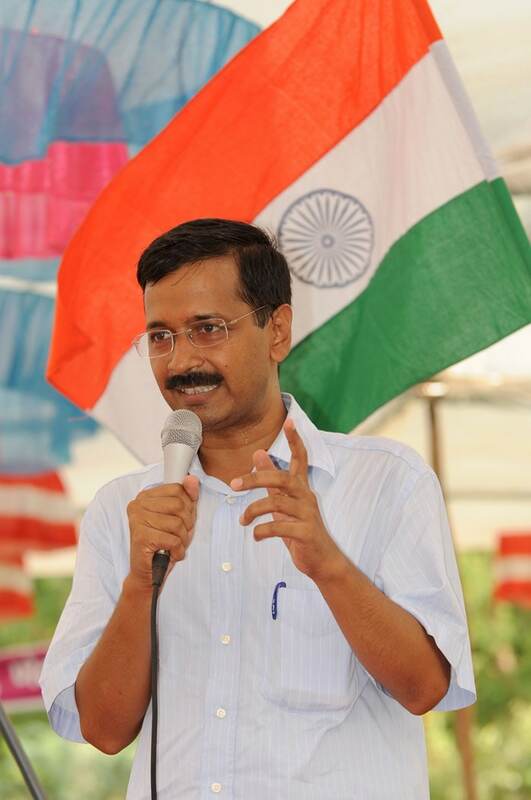 In 1995, Mr Kejriwal joined the Indian Revenue Service after clearing the Civil Service exam. Some years later, he resigned as Delhi's Joint Commissioner of Income Tax amid some controversy over stipulations related to two years of paid leave that he had been granted. After quitting the revenue service, Mr Kejriwal turned to activism full time with Parivartan, the movement he had had helped start in 1999. Parivartan became a champion of the right to information and anti-corruption issues. 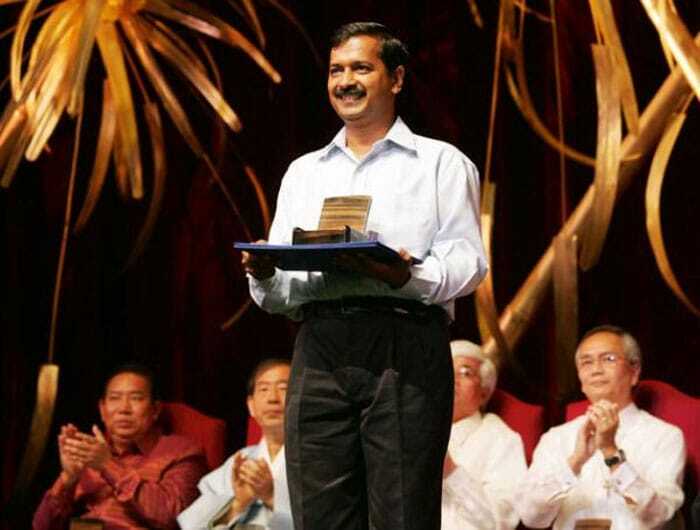 For his work with Parivartan, Arvind Kejriwal received the Ramon Magsaysay Award in 2006. 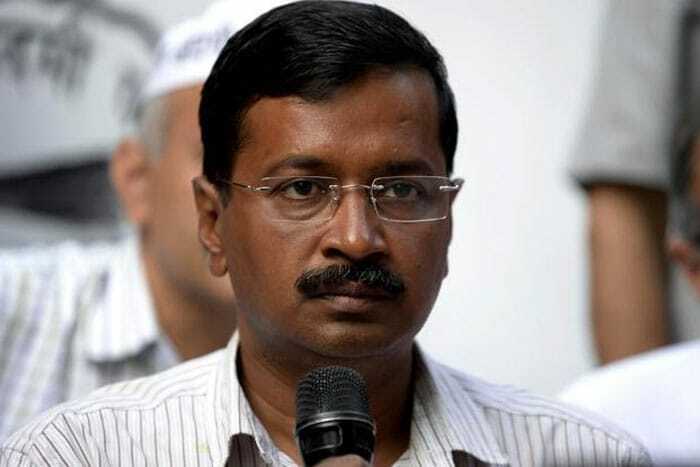 Mr Kejriwal was a part of the core group of the nationwide anti-corruption movement spearheaded by activist Anna Hazare. The movement demanded the introduction of the Jan Lokpal Bill that would set up a national ombudsman to investigate and fight corruption. Eventually, the campaign petered out after their demands went unheeded by the government, but not before it put Arvind Keriwal on the national stage. 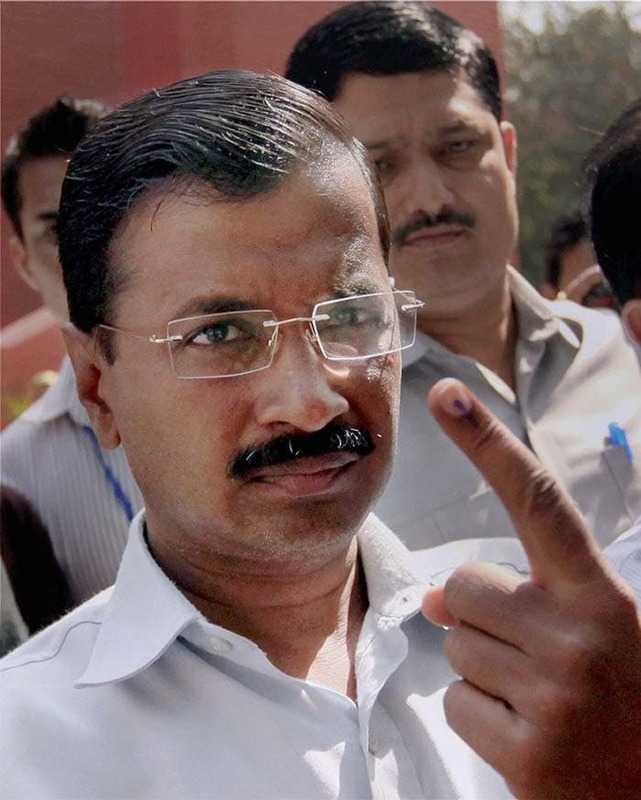 In 2012, Arvind Kejriwal formed the Aam Aadmi Party – taking the name from the epithet ‘mango people' that Gandhi son-in-law Robert Vadra had directed at him - with the intention of fighting the Delhi assembly elections in 2013. The relationship between Anna Hazare, who wanted to remain apolitical, and Mr Kejriwal soured at this point. In December 2013, the Aam Aadmi Party – dismissed by many as inexperienced and disorganized – stunned its political opponents by winning 28 out of Delhi's 70 seats, just three seats behind the BJP's 31. 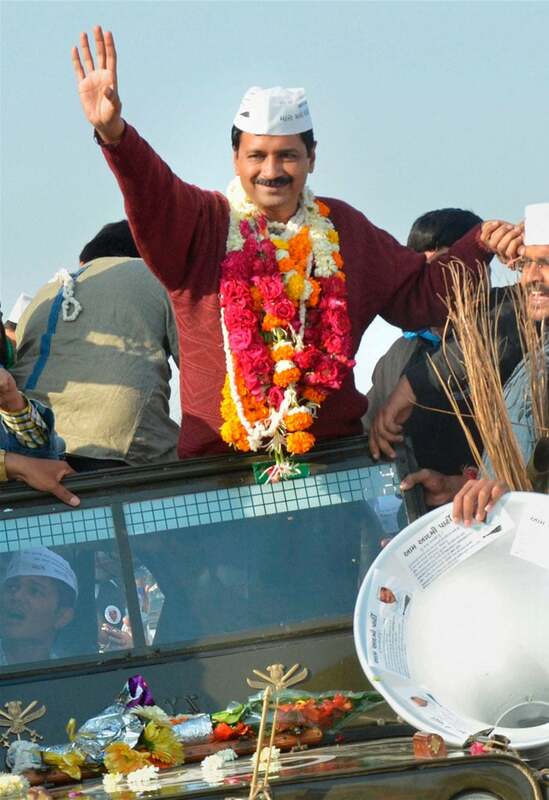 Mr Kejriwal himself took on and defeated then-Chief Minister Sheila Dikshit in the constituency of New Delhi. The Aam Aadmi Party formed a minority government with outside support from the Congress. On December 28, 2013, Arvind Kejriwal was sworn in as Chief Minister – at 45, one of Delhi's youngest. Over the next 49 days, Mr Kejriwal headed a maverick government that set up an anti-corruption helpline and took on power companies in the state. Most notably, he led a 33-hour dharna – spending the night on the pavement – in the heart of New Delhi, protesting against the Delhi Police and the Home Ministry. 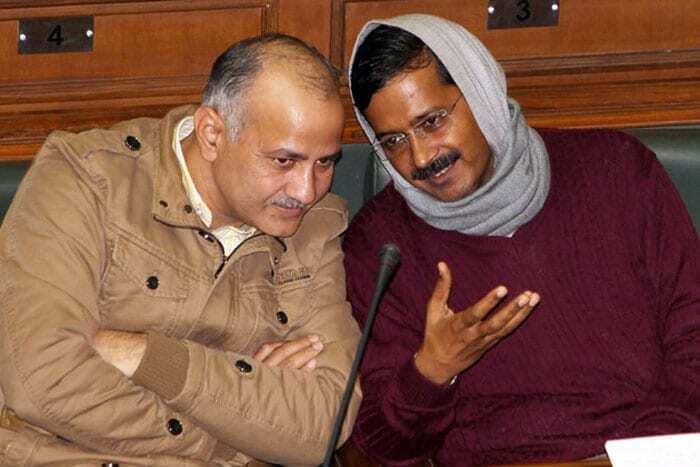 On February 14, Arvind Kejriwal resigned as Chief Minister after the Aam Aadmi Party failed to table the Jan Lokpal Bill in the Delhi Assembly. He announced his intention to take his party national and, over the next few months, fielded candidates such as poet-comic Kumar Vishwas in Rahul Gandhi's stronghold of Amethi and actress Gul Panag in Chandigarh. 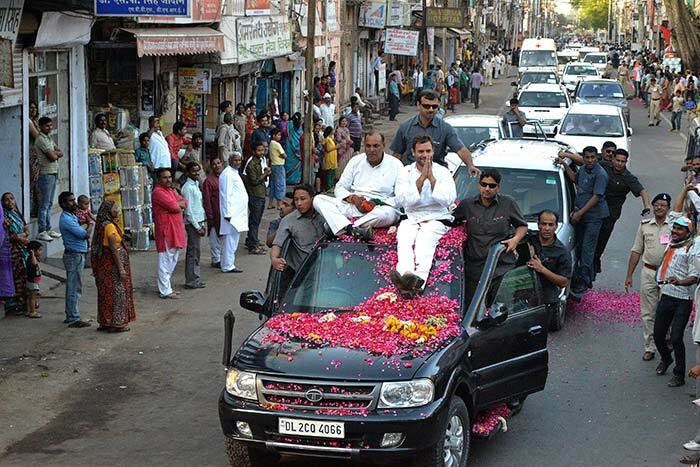 As Chief Minister, Mr Kejriwal refused security and traveled in his own blue Wagon-R. 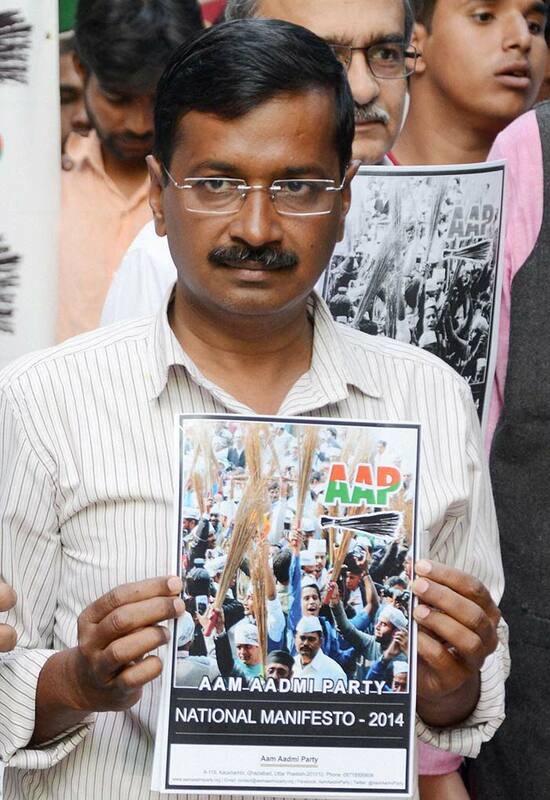 He was rarely seen without his trademark muffler and the AAP topi. He is married to a batchmate from the National Academy of Direct Taxes and has two children.